The most beautiful Polish city, Krakow, has retained its old world charm and is a city whose ambience has been retained in modern society. 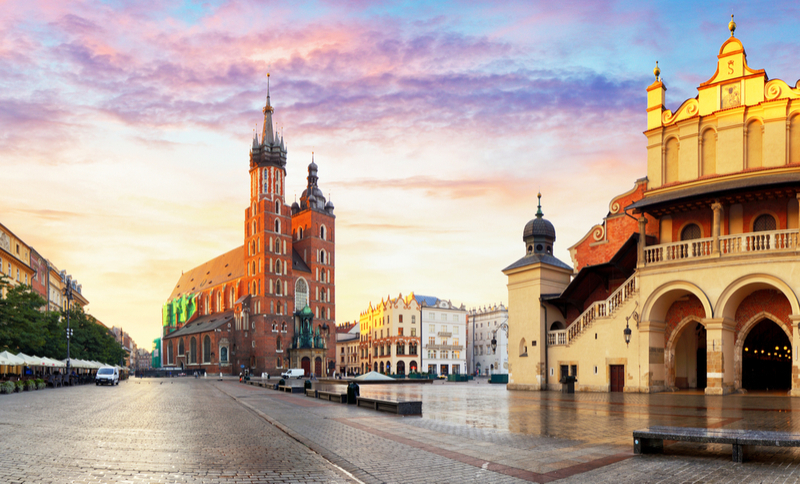 Beautiful, but quaint is how we would describe Poland’s second largest city. When thinking of European cities to visit, Krakow rarely gets a mention, but it certainly deserves one. 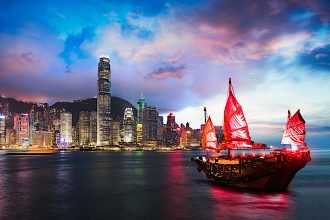 The city presents itself as if it’s straight out of a movie, with cobbled streets and huge marbled architecture. It even has horse drawn carriages. Krakow’s main market square is the largest medieval town square in Europe. The 200 square metre area is lined with pastel-coloured houses, converted into restaurants and bars, and is rightfully the social hub of Krakow. The market square is home to stalls of gorgeous flowers, entertainment such as jugglers, and a variety of antique stalls definitely worth visiting. You can spend a whole day here, taking in it’s many buildings and features, and it is a perfect introduction to the gorgeous city of Krakow. Located in the Rynek Glowny, St. Mary’s Basilica’s appearance seems misleading and out of place in the square. Its red brick differs to the rest of the buildings surrounding the square, but it’s glory cannot go amiss. 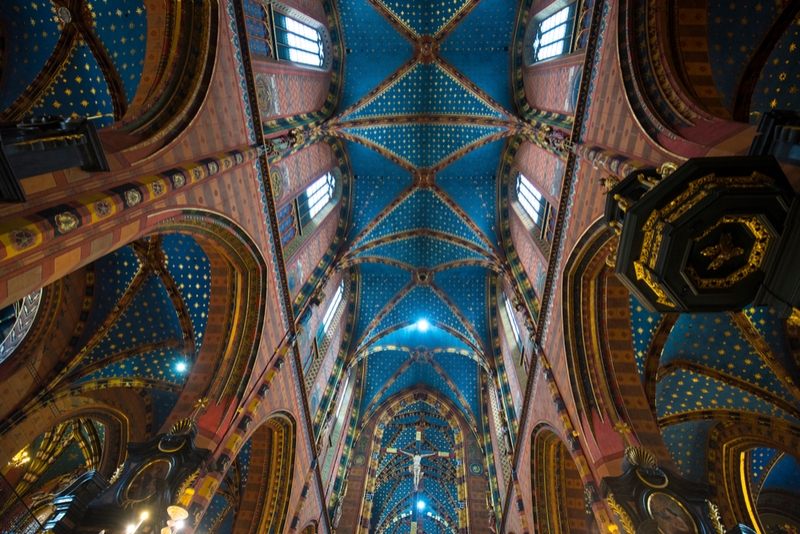 The building famous for its mismatching peaks, is a completely different world on the inside. With marble floors and a sky blue and gold ceiling, experiencing the interior is an absolute must when visiting the square. The castle positioned in central Krakow, dates back to the 16th century and is a UNESCO World Heritage site. The whole Wawel site is an interesting experience, with the castle being split into various museums. The whole precinct is a strange mess of palace, chapel, cathedral and beautiful gardens with lovely views of Krakow, sitting over 200 metres above sea level. Climbing the bell tower gives travellers access to the best views of the city and should be a highlight of the trip, and the perfect spot to get a photo! 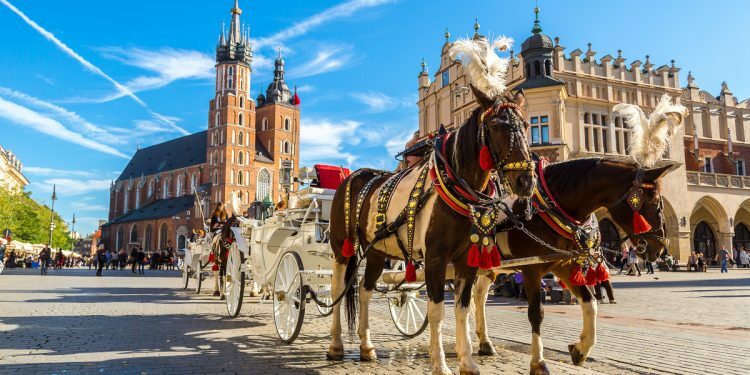 Yet despite its strange make-up, it is truly a beautiful place to visit and features some brilliant architecture that can’t be missed when visiting Krakow. Just outside Krakow lie these two camps. Taking a day trip to experience and learn about the atrocities that took place inside their gates is an incredibly emotional, but well worth experience. The experience really solidifies for most how terrible these events were, as it is difficult to fully grasp the extent of the horrific events without viewing the camps. 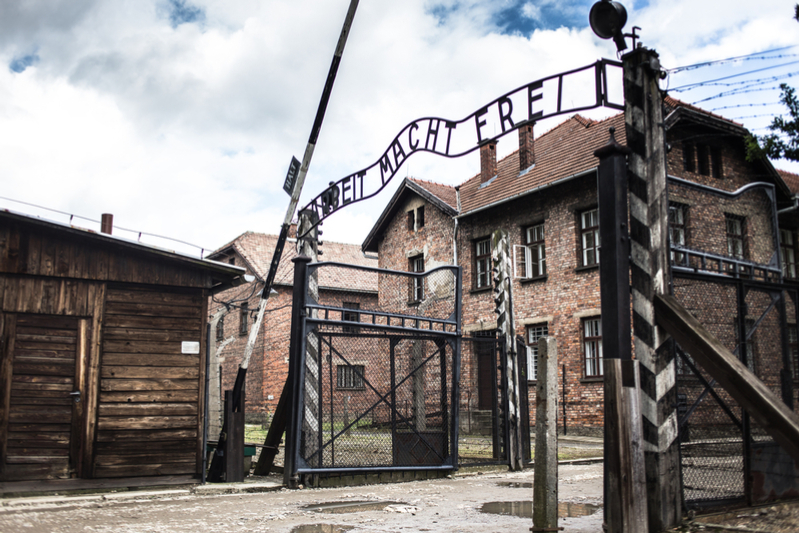 Over 1.1 million people died in these two camps alone, and 90% of these people were Jewish. Make sure to pay your respects to those who passed during these harrowing periods. These mines are genuinely incredible. 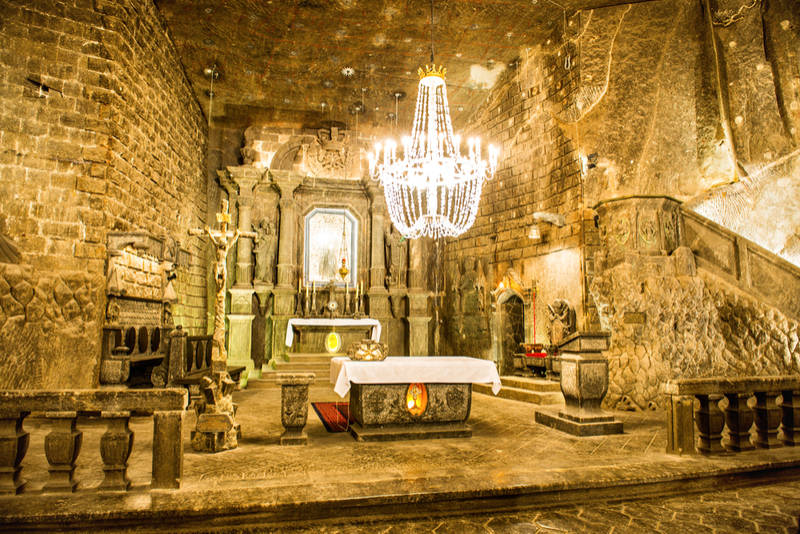 Just outside Krakow are some of the most intricately designed underground chapels and tunnels carved by miners, being a functioning mine up until 2007, then becoming a UNESCO World Heritage Site and becoming a hotspot for tourism in Krakow. The mine has nine levels and is truly breathtaking, with the deepest tunnel at 327 metres below ground. Tours are recommended to learn everything you need to know about the mine. And if your thinking about it – one of the breathtaking chapels is a wedding venue. The traditional Jewish quarter of Krakow is a rich cultural hub, with bars and restaurants ever present in this area. 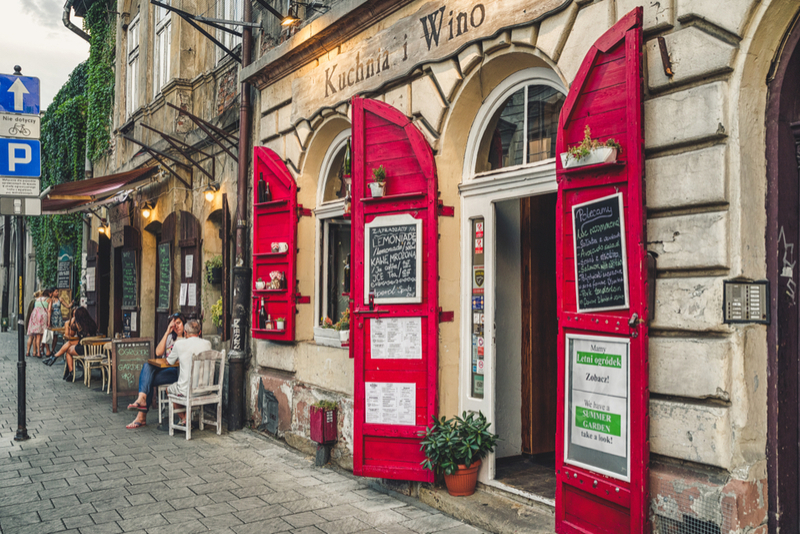 Kazimierz is filled with pop-up food trucks and is home to an exciting and hugely popular nightlife. The area is said to display the most pre-war Jewish culture than anywhere else on the continent. 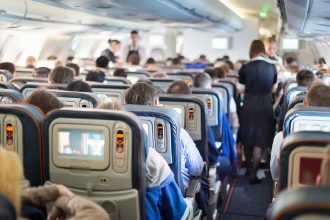 Again, to get all the facts, it is a good idea to book a tour, as they can show you the best parts and give you the run-down on the area as a whole. Oskar Schindler was a German businessman who saved thousands of Jewish lives during the Second World War by employing them into his factory, situated in Krakow. The factory today still stands and is now an extremely interesting museum, housed by a historically significant site. The museum displays Krakow during wartime and gives a history of Krakow as a city. 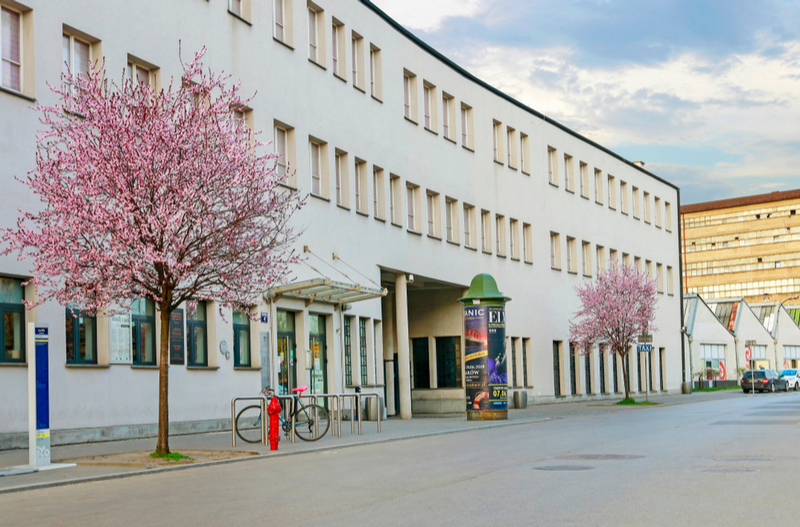 It is a good idea to see the Steven Spielberg classic, Schindler’s List, to give yourself some kind of insight into the factory prior to entering and experiencincing a truly brilliant museum. This restaurant at the foot of the Wawel Castle, specialising in hearty local cuisine is a perfect place to stop for a meal. If you are looking for generous portion sizes and some excellent meats, specifically knuckles and fresh beer from Poland, Pod Wawelem is the ideal option. The restaurant also offers brilliant views of the famous castle, and old style decor with small traditional touches such as the original one litre beer jugs, round the restaurant out to be an all-round authentic experience. 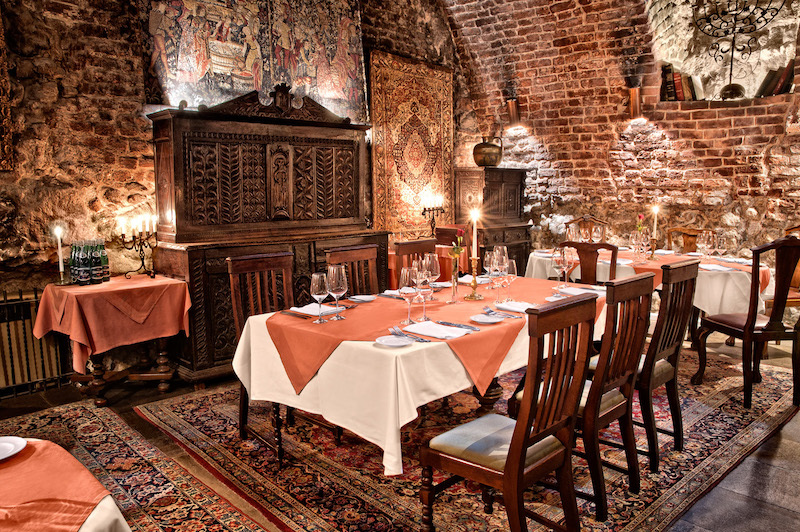 Cyrano de Bergerac is a quaint restaurant positioned under a 15th century medieval building. Cyrano de Bergerac is a lovely venue to experience some local cultural cuisine with a french-style influence. Its high standing amongst Krakow restaurants has led it to host famous individuals such as Roman Polanski and Prince Charles. An essential stop when looking for high class Polish cuisine. 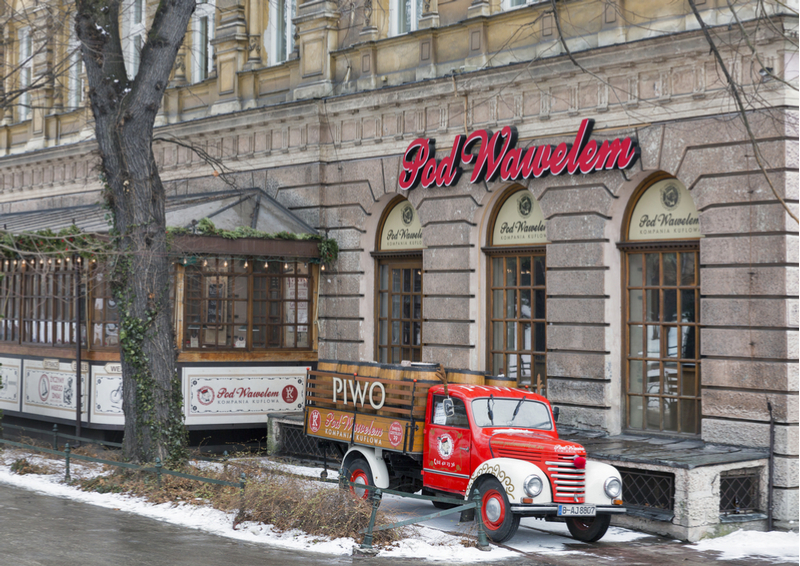 The red walled restaurant specialises in vodka, also a Polish staple. Starka claims itself to be a ‘hidden treasure of Kazimierz’, with its cuisine paired with live music, it’s hard to say they are wrong. The restaurant also claims it to be similar to Polish Vodka in it’s essence – ‘Polish, Traditional, Beautiful in colour and flavour’. For great dining and atmosphere, Starka is a brilliant option. We can’t stress enough how awesome this little cellar door is. 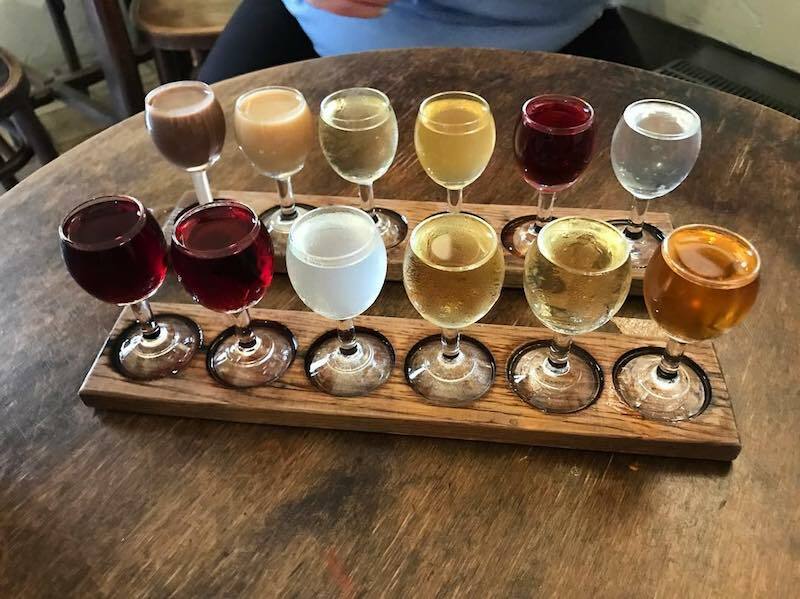 The bar has platters of six shots of different flavoured vodka. The tiny room is quaint and generally it is hard to find a place to sit. Try some of the favourites and ask the bartender to fix you up a platter, or go wild and try some of the funkier flavours like chilli chocolate and immerse yourself in some of best vodka you will ever try. What makes it all the more great is that you can get a whole platter of six shots for a little under $15 (depending on your conversions). 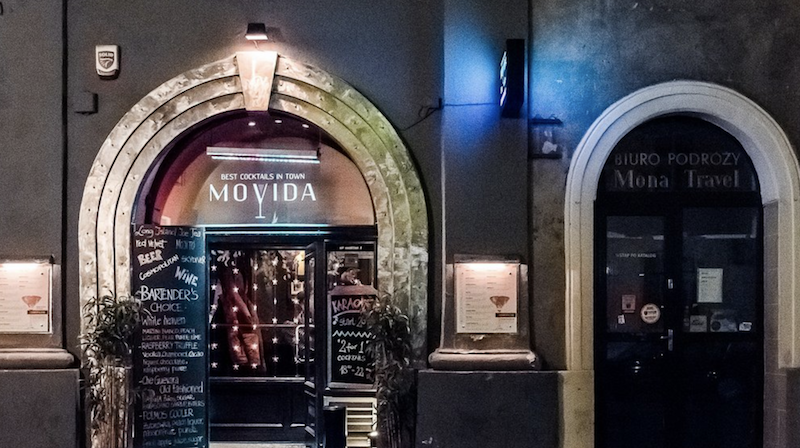 A bar boasting that it only hires bartenders with international experience, Movida Bar is home to some of the best cocktails in Krakow, in a very fancy setting. It is a very popular establishment just off the main square of Krakow, decorated with photographs of celebrities, Movida Bar is a great stop for a cocktail (or seven). 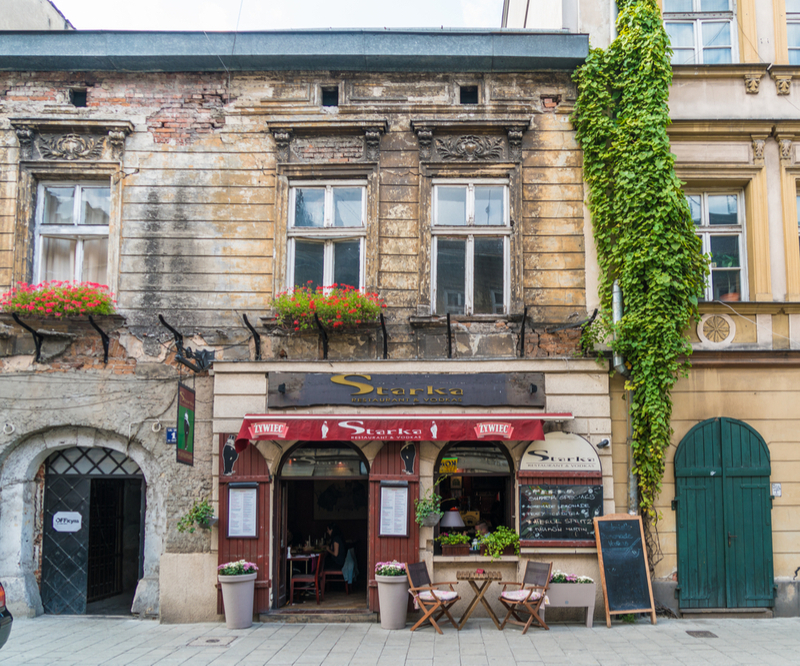 What may seem at first glance a normal deli, is actually in fact a gorgeous and multi-layered restaurant/bar serving brilliant food and serving up some of the finest wines in Krakow. The first level is a bistro serving Polish, but if you delve deeper and go down a flight of stairs there is a restaurant serving tasting platters. 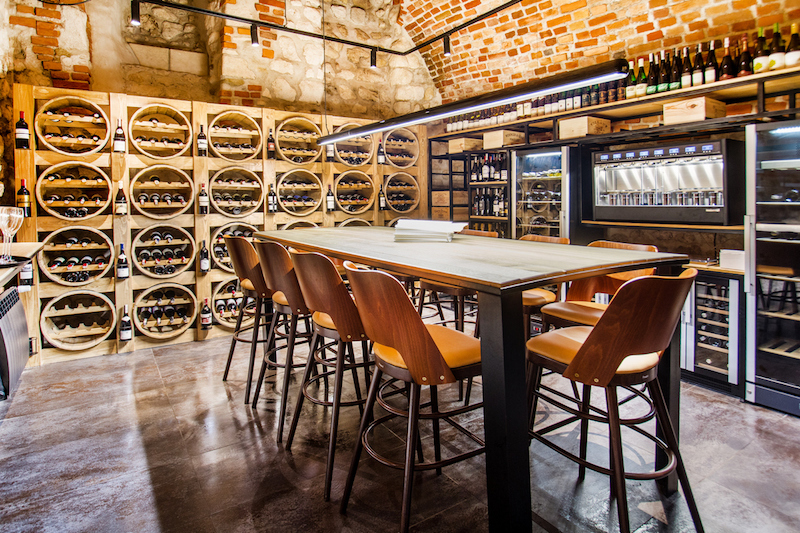 Walk through some more brick rooms, and you will pass a cigar room and reach a gorgeous wine tasting room. If wine isn’t your preferred drink there is also a cocktail bar in the corner of the room. Adventure awaits at Enoteka Pergamin.